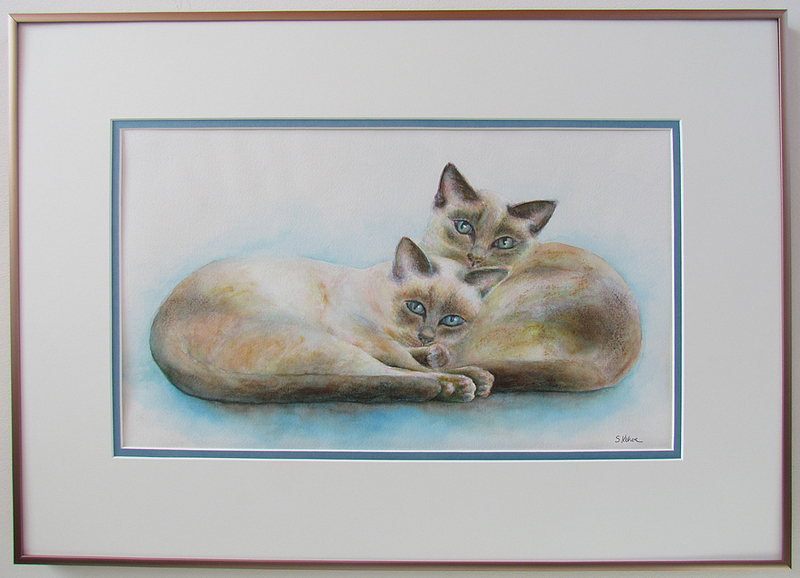 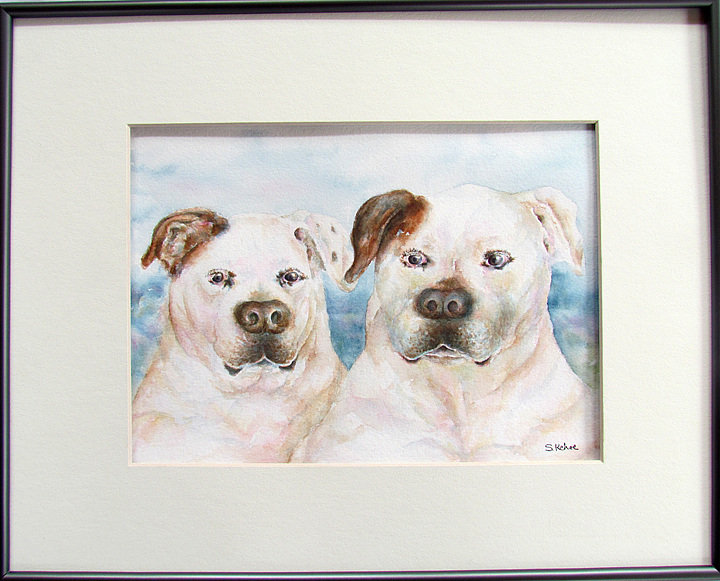 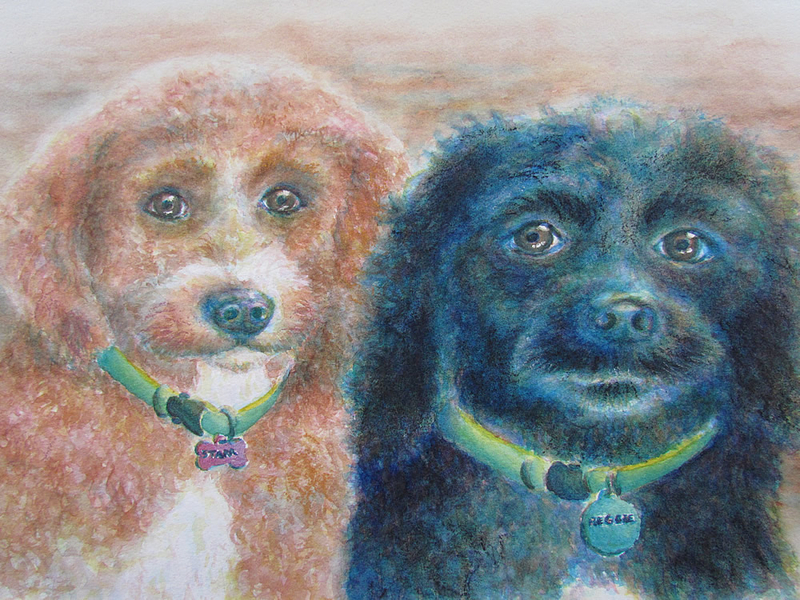 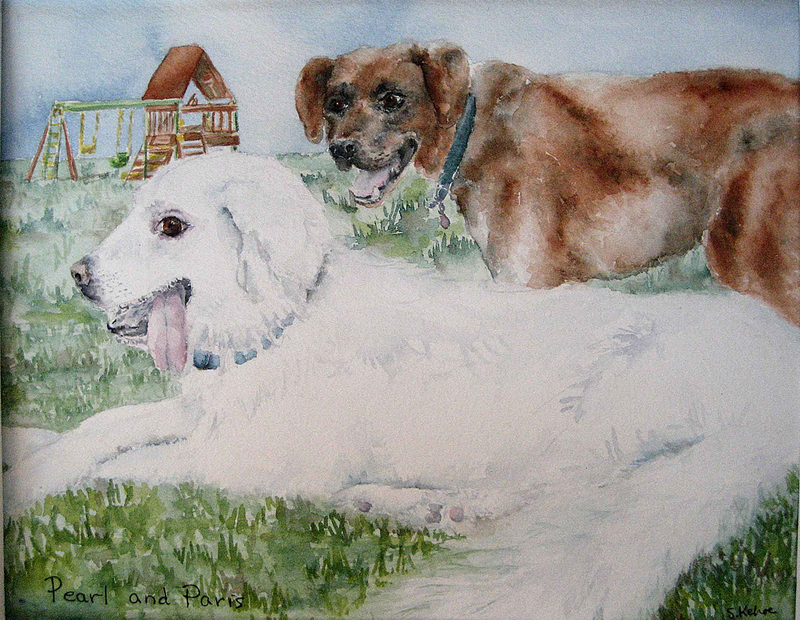 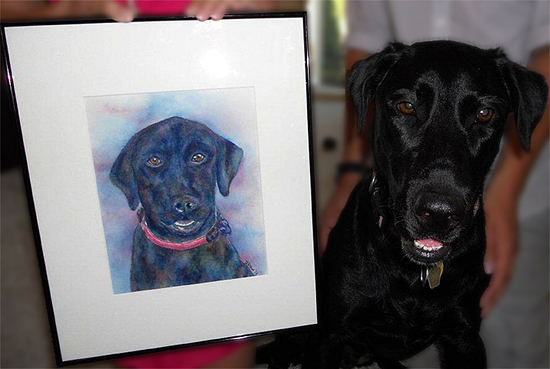 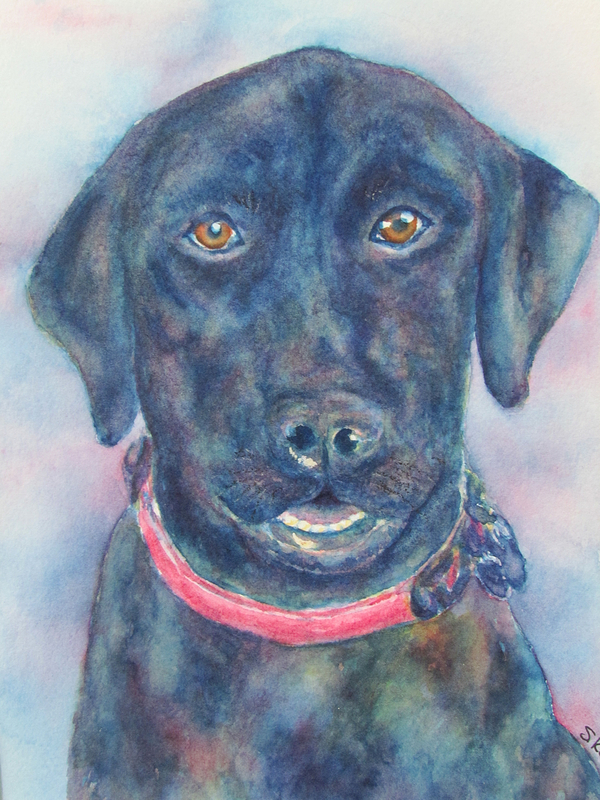 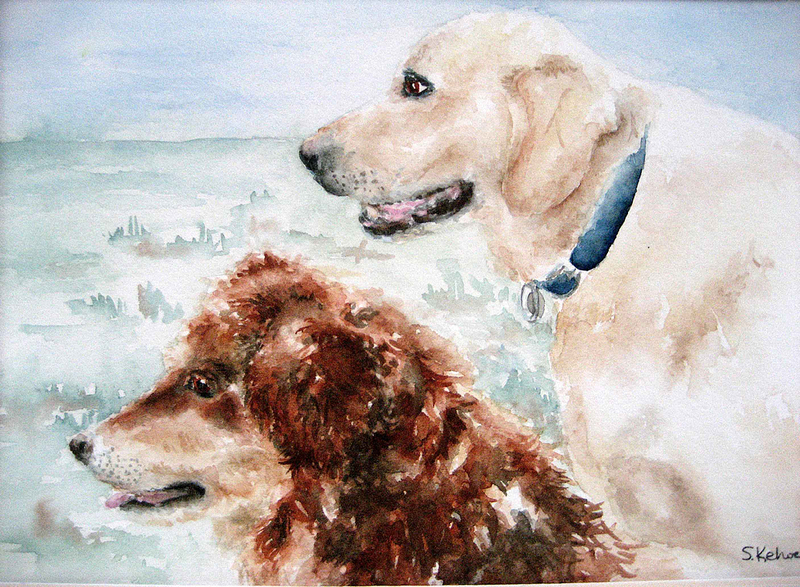 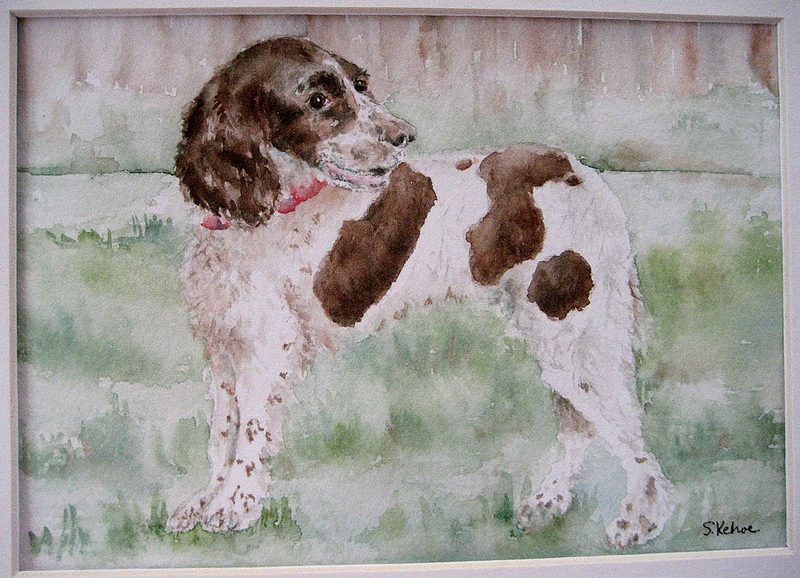 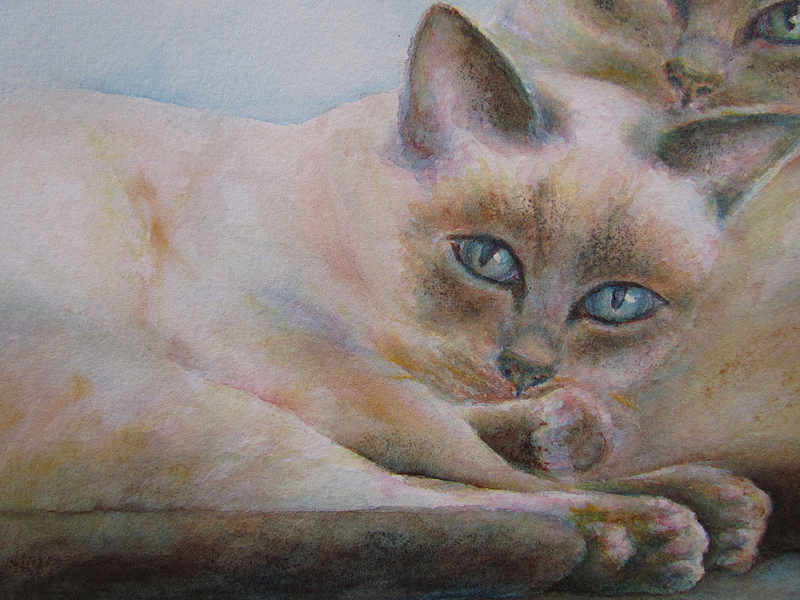 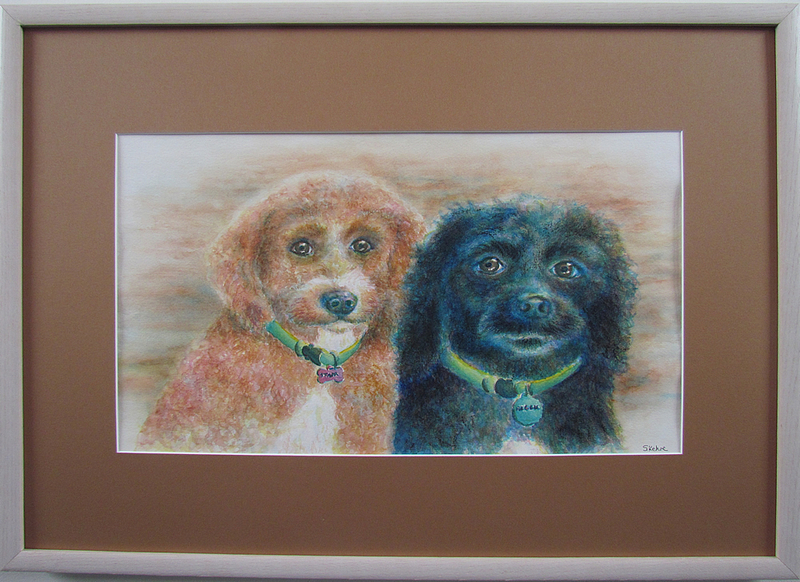 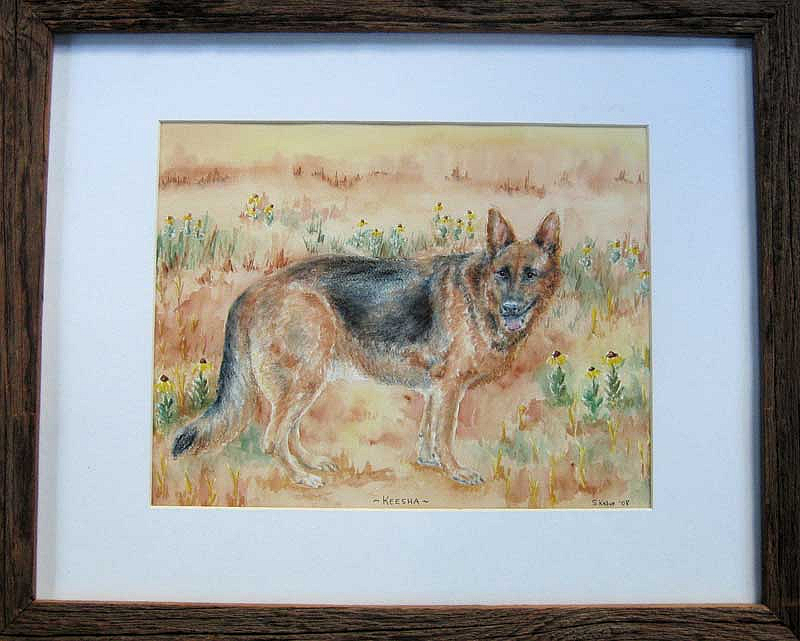 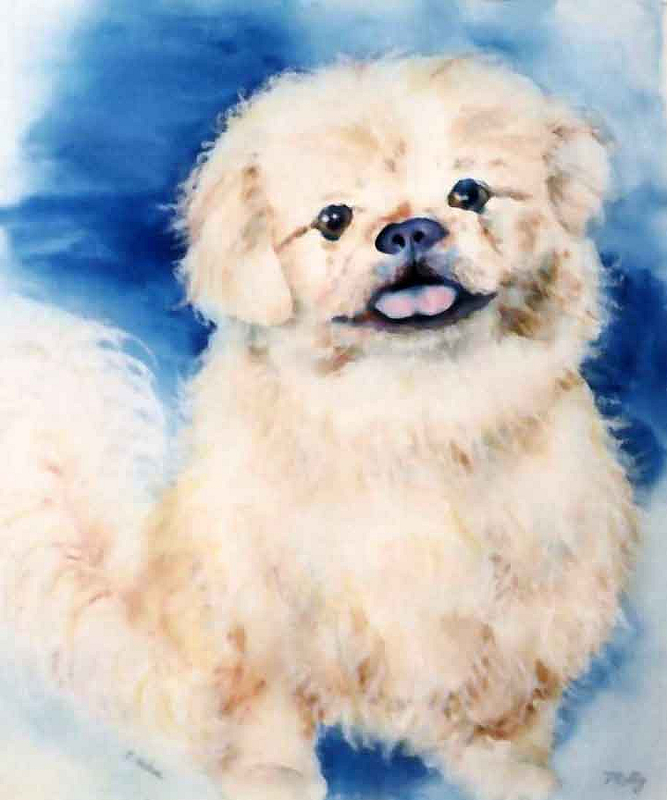 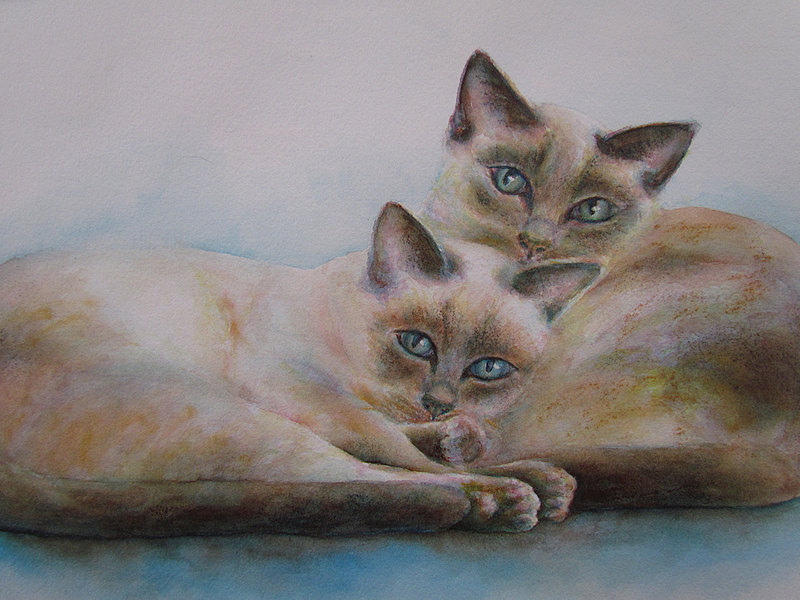 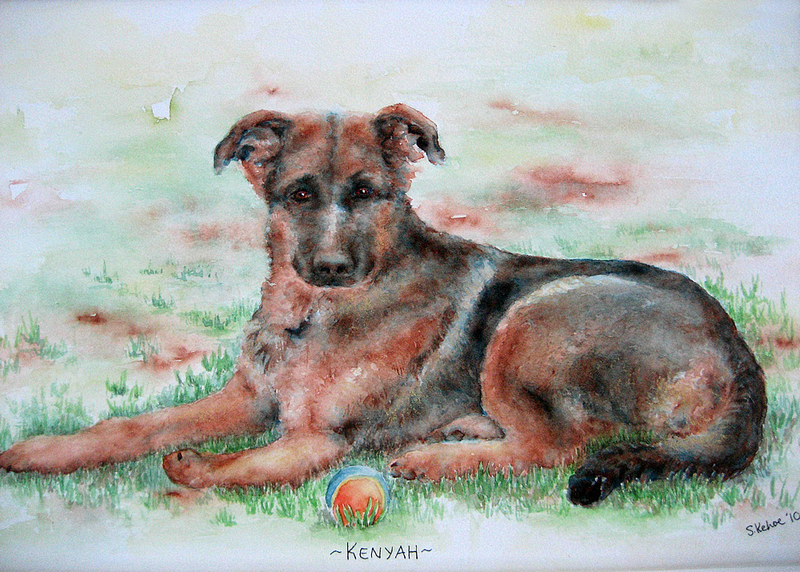 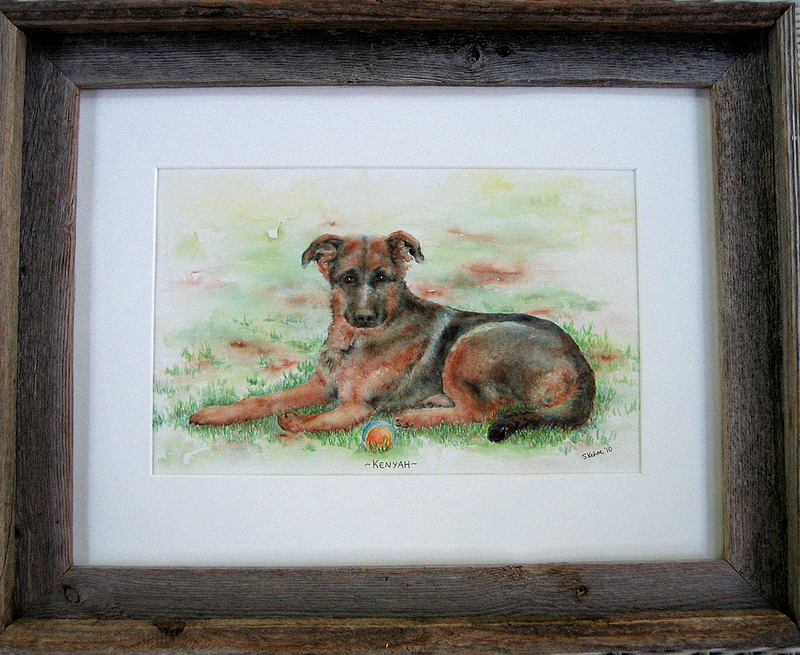 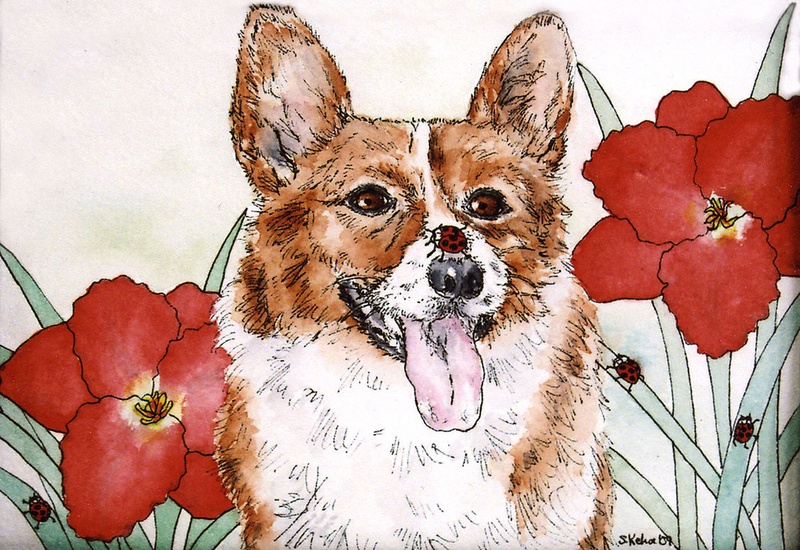 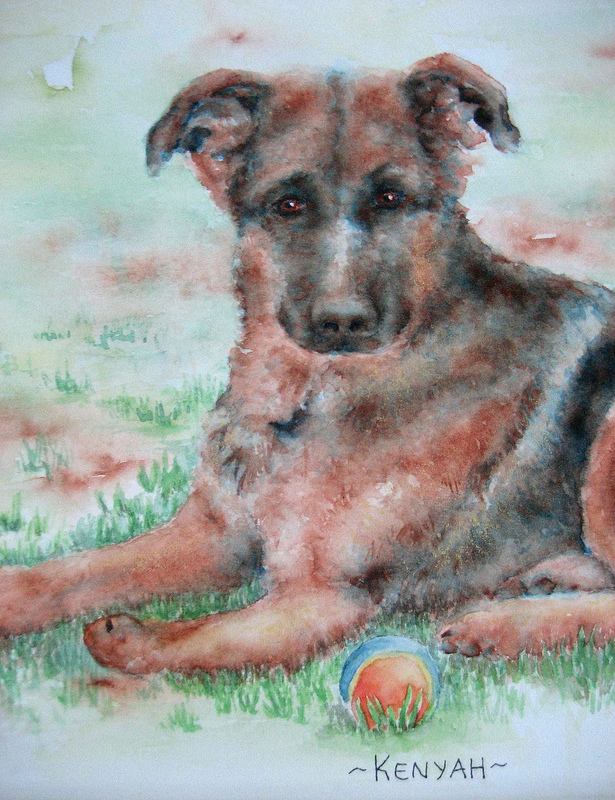 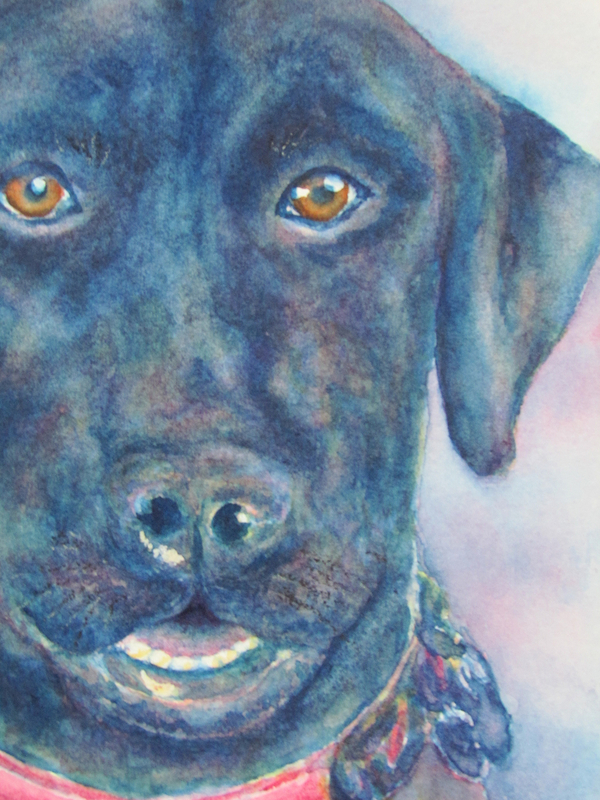 his is a portrait of my Son and Daughter-in-Law’s dog Emma, and was a wedding gift for them. She is very special to them and although she wasn’t allowed to attend the wedding, she was there in spirit in this painting! 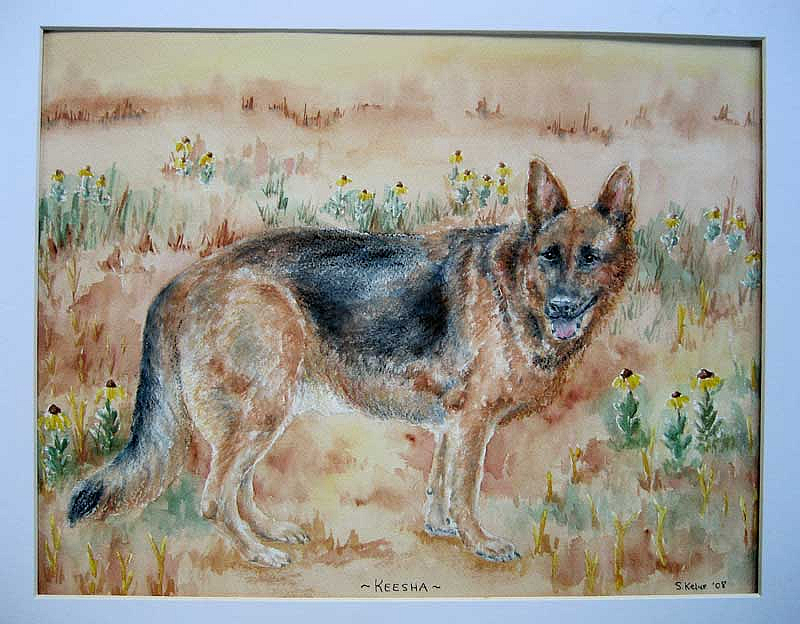 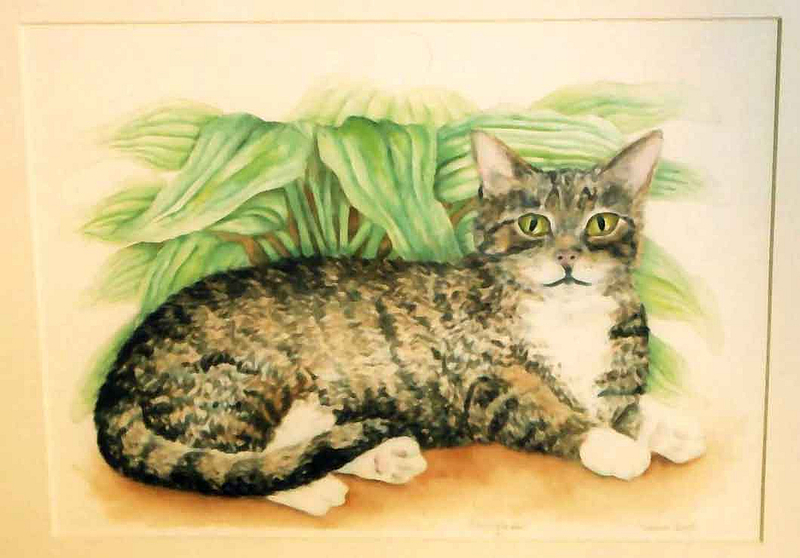 I am an animal lover and have dogs and cats of my own. 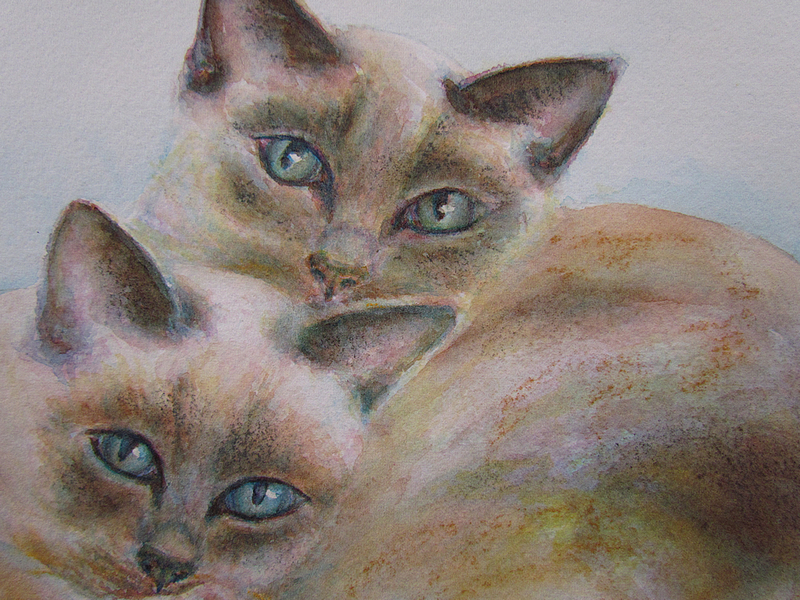 They add so much joy to life, it is fun to capture them – if I can get the eyes right, the rest is “easy”.